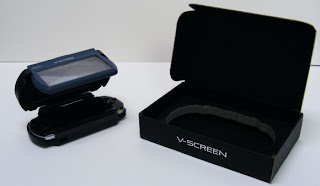 Nintendo DSi Games: V-Screen for the DSi XL Adds "Depth"
V-Screen for the DSi XL Adds "Depth"
If you find your DSi XL not awesome enough, then try your hands on RealView Innovations' V-Screen. The peripheral attaches to your DSi and is supposed to make the screen look 3D. We're not sure if the V-Screen really works but a simple search online yields not so favorable results. One thing is for sure though, it will certainly add weight to the DSi XL.